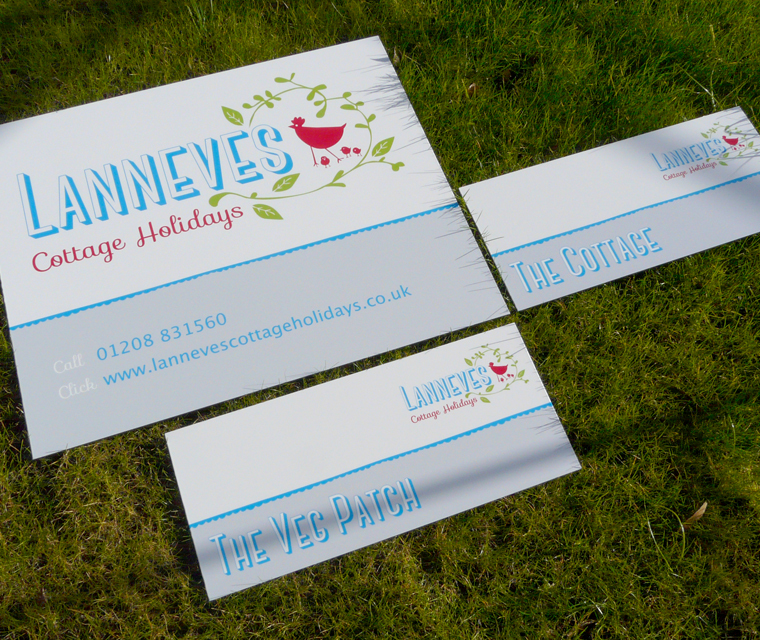 The signage we designed for Lanneves Cottage Holidays. Taking the folksy style from their logo, this sign welcomes visitors on the front gate. We produced two further directional signs for Lanneves, helping holiday makers find their way around the self catering cottage. 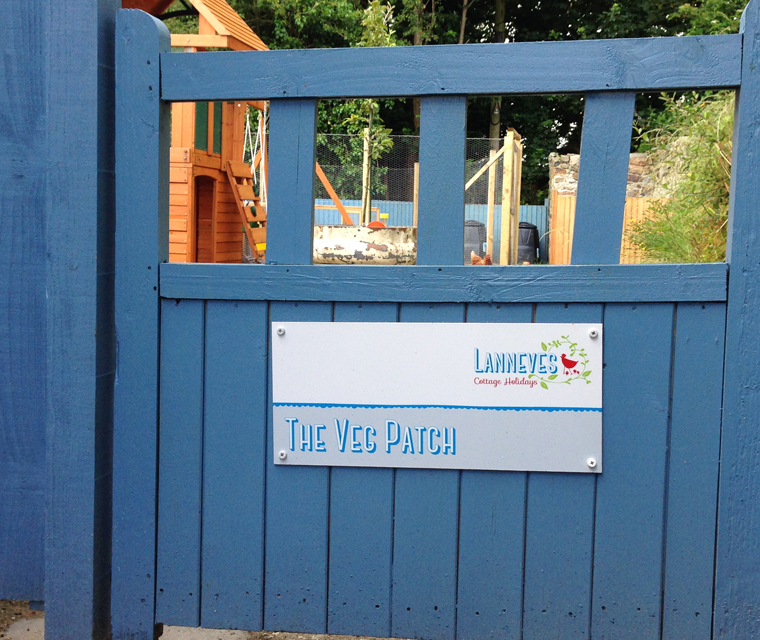 We carried through the new brand for Lanneves to their exterior signage, as our client was keen to keep their wayfinding graphics consistent.